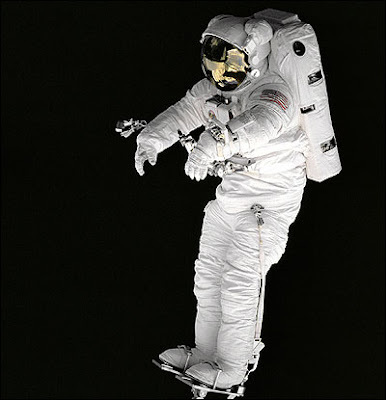 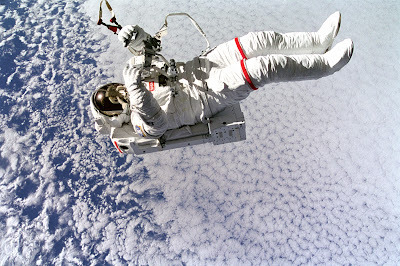 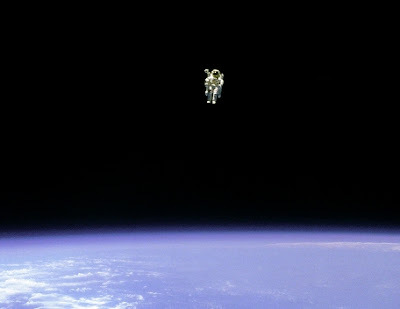 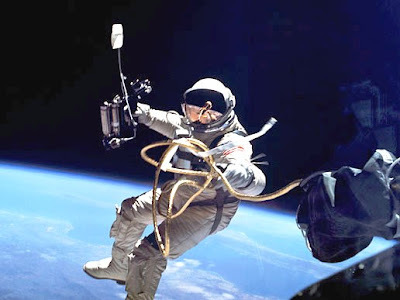 On June 3, 1965, Edgard H. White became the first American to conduct a spacewalk. 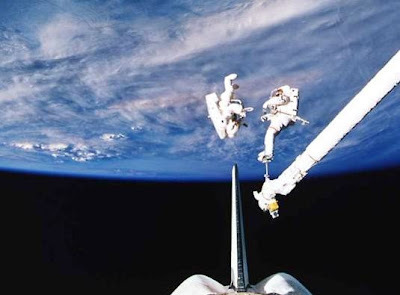 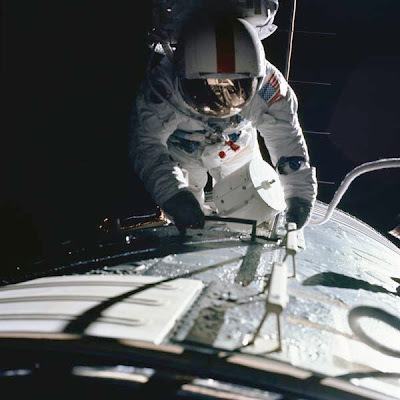 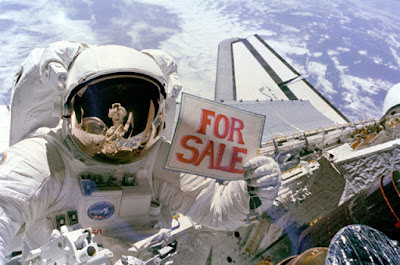 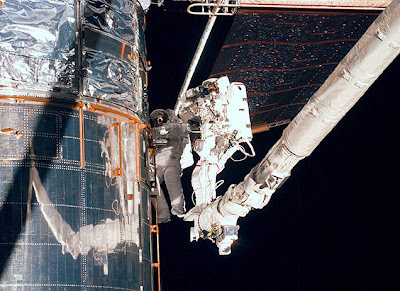 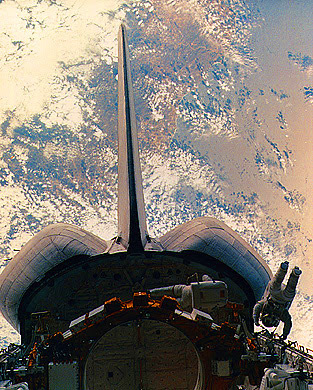 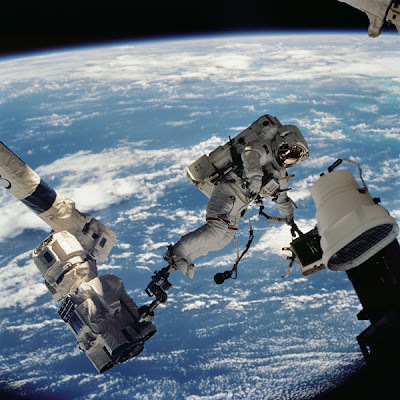 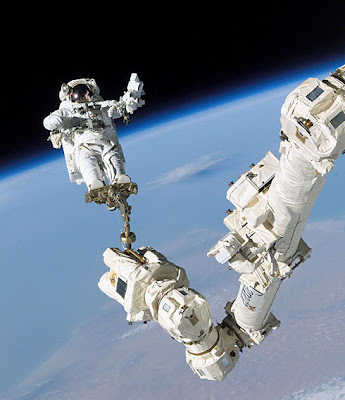 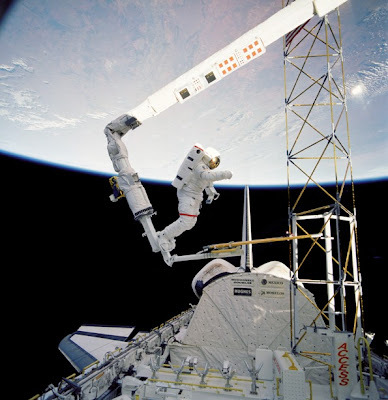 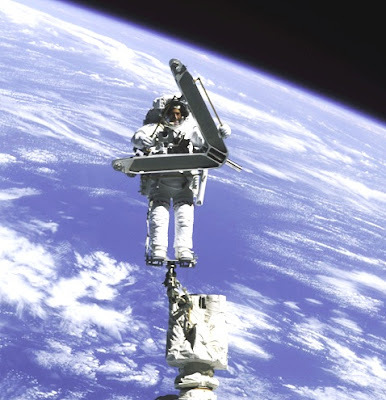 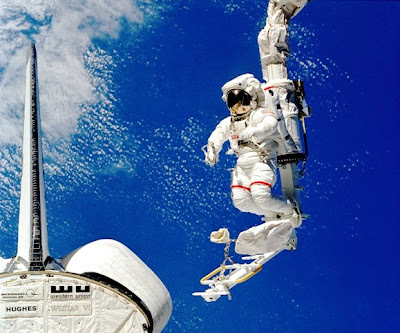 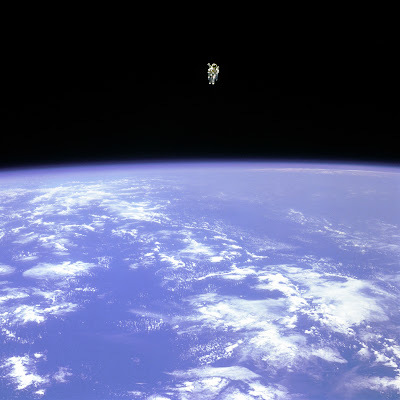 As pilot of Gemini 4, White stepped outside the spacecraft for a 21-min spacewalk during which he maneuvered on the end of a 7.6-m lifeline by using a hand-held jet gun. 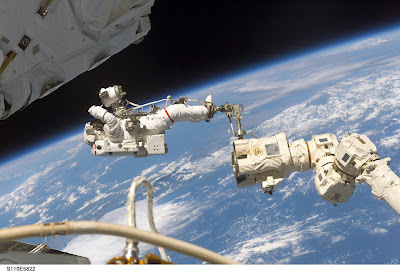 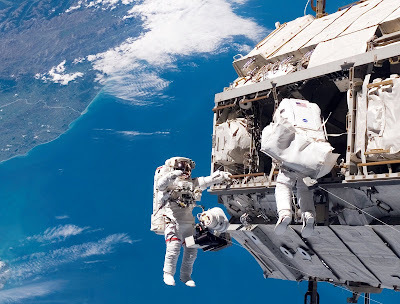 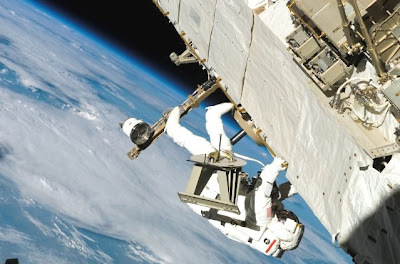 Astronaut Piers Sellers working on ISS. 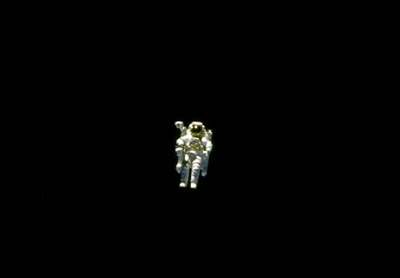 June, 2007. 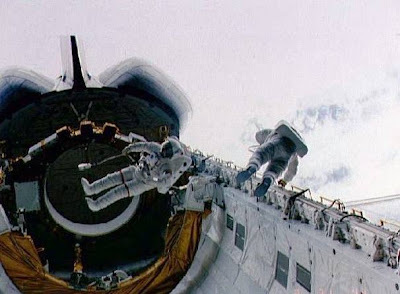 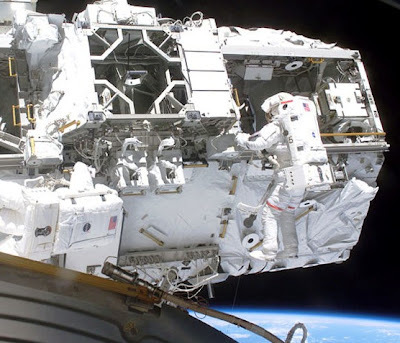 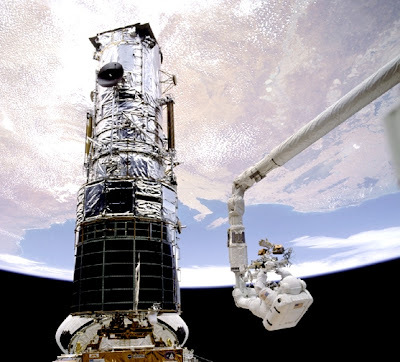 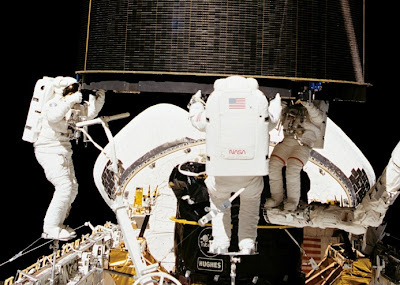 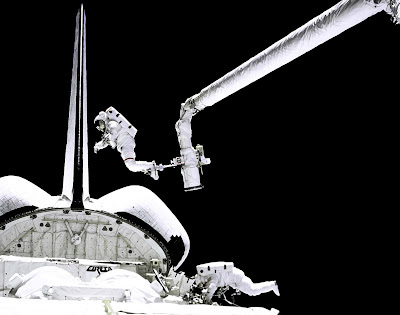 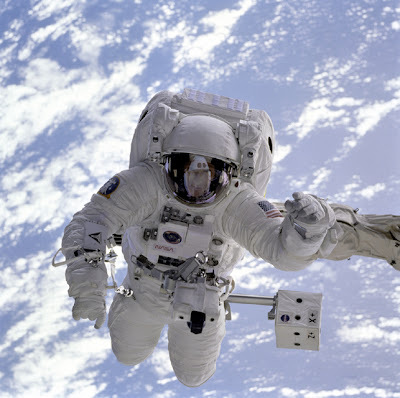 While doing an EVA on the ISS, Space Shuttle astronaut Suni Williams’ camera broke free of its bracket and floated away from her into space. 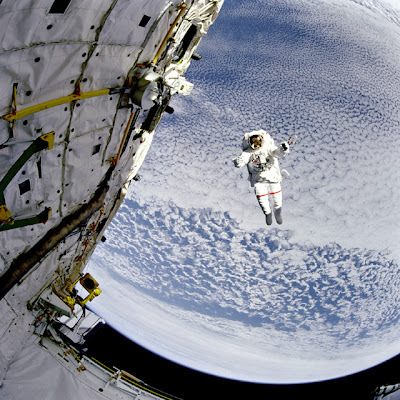 A button designed to lock the camera in place might have failed, resulting in the camera's loss. 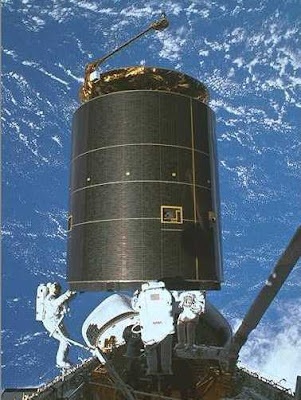 NASA's debris analysts studied the camera's trajectory.